Could The Pier Falls by Mark Haddon be the Best Short Story Collection of 2016? In the nine mesmerizing stories that make up The Pier Falls, Mark Haddon explores an array of very human reactions to life-altering situations, probing for insights into how people live—and live with each other—in the aftermath. Best known for his celebrated novel, The Curious Incident of the Dog in the Night-Time, Haddon delivers similarly crisp and steady prose with his short fiction. Yet these stories prove more provocative, the inherent suddenness of the form working to the author’s advantage as he pits characters against great challenges. The result is “moments when time itself seems to fork and fracture,” as the protagonist of “The Gun” observes in one such story. Well-suited to short fiction, Haddon’s writing draws power and mystery not from the “What?” but from the “How?” In stories like “The Pier Falls” and “The Gun,” the essential plot information is conveyed in the titles themselves. Haddon doesn’t depend on twists or reveals to drive the narrative, instead building tension with the careful observance of these extraordinary moments and their repercussions. In “The Pier Falls,” Haddon’s prose has the effect of literary pointillism with descriptions zooming across the tragedy’s full scope. The protagonist is the chaos of the moment, the terror, bewilderment and desperation rising into the space once occupied by the now-collapsed pier. Elsewhere in the collection, Haddon writes about a princess in ancient Greece, the first human colony on Mars and a ghostly Christmas Eve encounter. But even as the stories edge into mythology, science fiction and the supernatural, they never stray too far from the realm of realism. It’s as if Haddon has found characters in those other reaches of fiction, the reaches where allegory and metaphor stand in for the revelatory moments of unshakable truth, and pulled them back to reality, setting them astride the travails and calamities that could strike anyone. Haddon incorporates a wide range of perspectives in his stories, from the detached, almost news-like survey of the pier collapse that kills dozens to the first-person narration of an explorer as he realizes that he’ll never return home from a perilous jungle expedition. At every point across that spectrum, Haddon displays a knack for providing a sense of how a precise moment of panic beyond all previous comprehension can strike both individuals and groups. The collection presents a balanced view of humanity, showing the weakness of people in comparison to the forces of nature, yet Haddon also highlights individuals’ tremendous capacity to leap into action beyond their known limits. As he writes in “The Weir,” some people ultimately access a “fierce animal hunger for life” when they need it most. Haddon uses the collection’s disparate settings, story lines and characters to underline the universality of the search and struggle for human connection. It’s also a finely pointed and evocative contrast for readers of The Curious Incident of the Dog in the Night-Time, in which the protagonist, due to Asperger syndrome, shuns human connection. The Pier Falls succeeds in many of the same ways as The Curious Incident, showcasing powerfully sparse language, a keen interest in placing human nature under a microscope and the imaginative construction that’s become Haddon’s trademark. But this collection is an even greater achievement, unveiling a versatility to match the lasting emotional impact of Haddon’s writing. 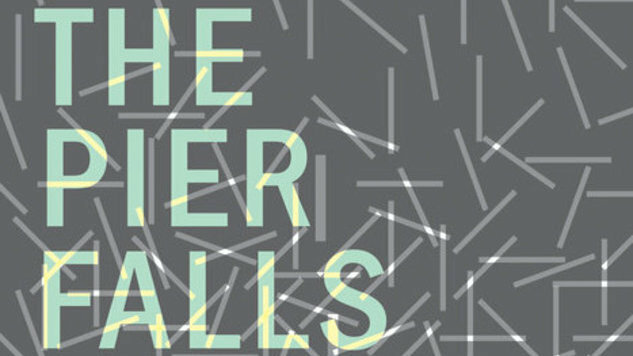 Impressive in its scope and revelatory in its survey of man’s faults and strengths, The Pier Falls is a certain contender for the best short story collection of 2016.